The innerspring mattress offers a high-quality innerspring design ensuring maximum comfort. 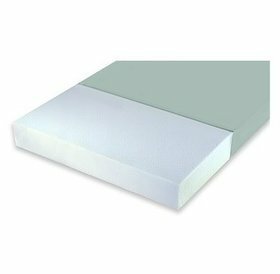 The mattress is made of premium grade cotton and high-density urethane foam for maximum comfort and increased durability. High-density urethane foam for maximum comfort and increased durability. Six-inch-thick mattress provides a medium-firm sleep surface. Vinyl cover is waterproof, anti-bacterial, anti-static for easy use and care. These mattresses can be rotated and flipped. Two screened brass side vents allow the mattress to breathe. For standard twin-extra large hospital beds.